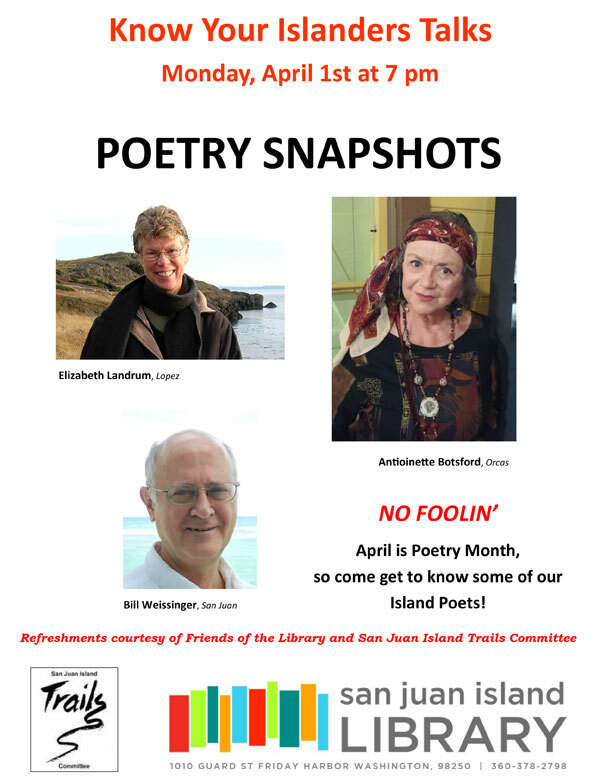 Meet some of our island poets: Antoinette Botsford from Orcas, Elizabeth Landrum from Lopez, and Bill Weissinger from San Juan. Monday, April 1st at 7 pm at the San Juan Island Library. Free. Refreshments will be served courtesy of the Friends of the Library and the San Juan Island Trails Committee.